The concept of Imago Therapy was originated by Harville Hendrix, a psychotherapist from the USA. According to Hendrix, what attracts us in a potential partner is not so much a dazzling smile or smouldering ‘come to bed’ eyes, but something different altogether. What we actually fall in love with, he says, is our ‘Imago’, a composite image of all the positive and negative character traits of our primary caretakers that we carry deep in our unconscious minds. This ‘Imago’ (Latin for ‘image’) is a blueprint of the person we are likely to marry someday. The negative traits carry greater weight than the positive ones, because, according to Hendrix, people do not actually marry for romance or money, but for the purpose of healing and ‘finishing the unfinished business of childhood’. The rationale is that since our parents were the people who wounded us, they are also the only ones who can heal us – not literally, but in proxy through a partner who matches their traits. This is why romantic relationships can often be difficult and painful, especially if awareness of the true purpose of connection is concealed. Hendrix views couplehood as a spiritual path in which our deepest wounds can find expression and healing. Imago Therapy teaches a way of relating to one another with awareness, respect and authenticity through conscious communication. When we take responsibility for our feelings and patterns instead of projecting them onto our partners, friends and colleagues, our lives begin to transform. We can begin our journey into becoming mature ad autonomous human beings who relate not from need, but from a place of love and joy. As a certified Imago Relationships Educator, I offer the following workshops/seminars, designed to give individuals a deeper understanding of how to relate consciously. This is a 3 session seminar for couples who wish to learn about the origins of conflict in couplehood and get the necessary skills to move through it. This is a premarital one-day seminar for couples. 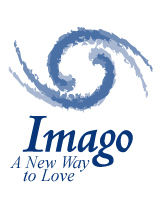 It introduces couples to the ways in which Imago can support their relationship through the years. This six-week course is aimed at couples who wish to deepen their relationships. It is often taught in religious or community settings. Please contact me for further information or to book one of these workshops for your community.